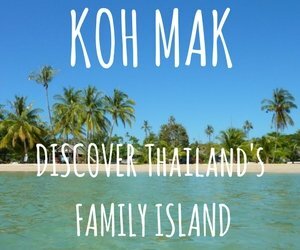 Koh Kood (Koh Kut) is located 40Km off the mainland of Thailand just to the north of the maritime border with Cambodia. 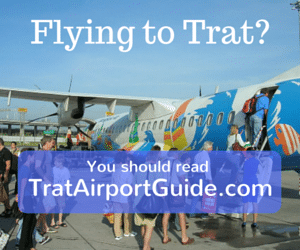 It’s the second largest island in the Koh Chang archipelago and the 5th largest in Thailand. The island is one of the most beautiful in Thailand and without a doubt the least developed large island in the country. If you want to know what islands such as Samui or Phuket were like when tourism was just beginning in the 1970s and 80s then visit Koh Kood now. Koh Kood’s pristine white sand beaches which skirt the west and south of the island are home to around 50 resorts, hotels and bungalows. The centre of the island is a mix of impenetrable jungle and rubber plantation. There are also a couple of waterfalls, the most famous of which is Klong Chao waterfall in the centre of the west coast. Original settlers lived in two fishing villages, Ao Salad and Ao Yai, both located on the east of the island. They are also the starting end ending point of the island’s road. Whilst on Koh Kood the sense of being a world away from civilization is helped by the lack of vehicle ferries; the remote location and the fact that prices for accommodation are higher than on many islands. ( Although that is slowly changing and more budget and mid-range resorts are being built ) Koh Kood is still pretty much a High Season only destination as . although boats form the mainland do run daily, it can be a rough crossing in the rainy season. And, if the sun isn’t shining there isn’t much to keep you occupied on Koh kood. It’s for nature lovers, rather than those who need a wide choice of shops, bars and restaurants. 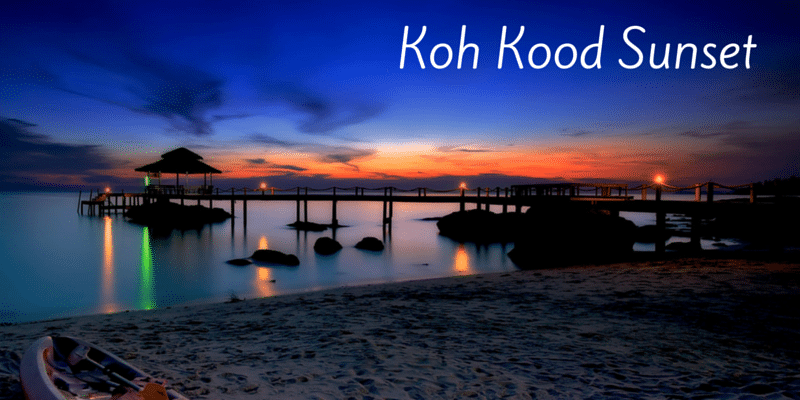 Koh Kood’s resorts run the gamut from the usual beach bungalows up to super expensive 5 star boutique resorts. Klong Chao beach is a great place to stay. On the beach you have a handful of luxury resorts but located on the riverside , 5 minutes walk from the beach are several value for money, bungalow resorts. There’s also a small community so there are a few shops and small restaurants in the vicinity. 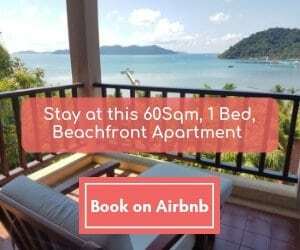 As with Koh Chang and Koh Mak, the island is very popular with Thai visitors during New Year and long weekend holidays, so be sure to book in advance and all accommodation fills up. The beaches on Koh Kood run down the west of the island. There aren’t any on the inaccessible east coast. In the centre of the island is Klong Chao beach. A 500 metre long swathe of white sand dotted with just four boutique resorts. Close by is a small community and easily accessible shops and restaurants. A little further south, Ngamkho Beach and Bang Bao Beach both offer a range of resorts and bungalows, but if you want to avoid eating in resorts you might find a scooter is required to get out and about. Bang Bao beach is one of the most scenic on the island, a picture perfect horseshoe shaped bay with some good snorkelling off the beach. Whereas the longest beach on the island is the 1Km long Ao Prao beach on the south coast. This beach was home to resorts catering almost exclusively to Russian package tour resorts but the collapse of the Rouble has led to a drop in visitor numbers and so now they are peaceful again. Heading north from Klong Chao, the beaches are quite isolated with access being along dirt tracks. The beach at Ao Noi – is getting increasingly popular with new resorts being built there. It’s close to a temple and local community which is also where the island’s administrative centre and hospital are located. Along with one bank and one, sometimes functioning, ATM machine. The resorts and bungalows on Koh Kood range from the super luxury Soneva Kiri, where guests pay $1,000 / night to be kept safely locked away inside the resort, to Tinkerbell Privacy, Cham’s House, High Season and Wendy the Pool, where rooms are closer to a more reasonable 5 – 15,000 Baht / night. There’s also a good choice of 4 star beach bungalows at resorts such as Meedee Resort or the new To The Sea in Bangbao Bay. 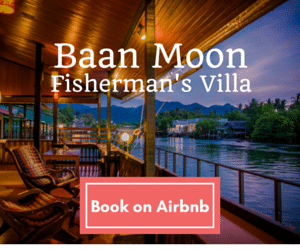 For something a little different try Baan Makok, funky fishermen’s huts on a mangrove clad estuary. And for the best boutique resort, go for Shantaa – a well established favourite of many visitors to the island. Excellent places for people on a budget include, Klong Chao Garden View, Mangrove Bungalows and Cozy House – all in the Klong Chao area. Plus Dusita Resort, Horizon Resort and Ngamkho Resort- not far away at Ngamklo Beach. Getting to Koh Kood has become easier over the past few years as moree boat services come online and older slow boats are replaced with more modern vessels. Boats leave from Laem Sok Pier, about 30 minutes drive south of Trat town and 45 minutes drive form the ferry piers for boats to Koh Chang. During High Season the Koh Kood Princess & Koh Kut Express depart at lunchtime, around 12:30 – 13:00. These are 350 Baht / person. Whilst the high speed Boonsiri Catamaran departs at 10:45 and again ad 14:20 – the last boat of the day. 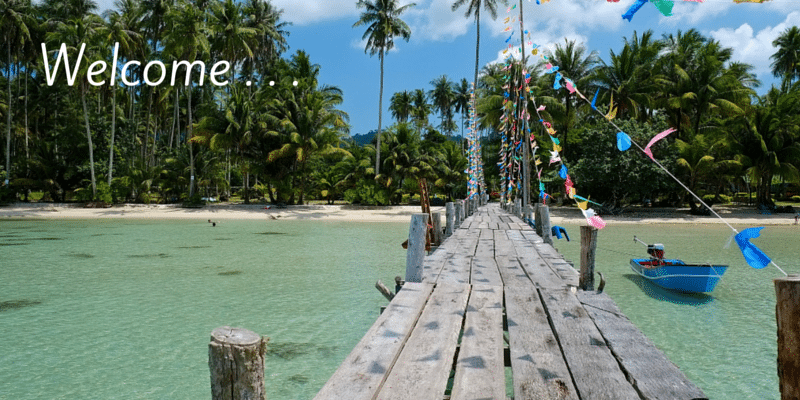 Transport is provided from the pier on Koh Kood to your resort. Starting on 1 November 2018, passengers flying into Trat Airport on flight PG301 or PG305 will be able to book a combined bus and boat ticket for Boonsiri Ferry. The ticket price will 800 Baht to Koh Kood. From the Travel blog . . .